Forgetting or losing your password is never a pleasant experience — especially when its the password to the administrator account on your Windows PC. However, don’t jump into a complete factory reset 4 Ways to Factory Reset Your Windows Computer 4 Ways to Factory Reset Your Windows Computer Want to know how to factory reset a computer? We show you the best methods to reset a Windows computer using Windows 10, 8, or 7. Read More too quickly, as there are several methods of retrieving your password with a minimum of effort and hassle. 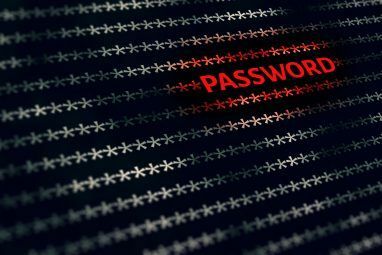 Whether you’re looking to gain access to a long-forgotten second-hand system or you’re simply struggling to remember what you set as your password Test Your Password Strength with the Same Tool Hackers Use Test Your Password Strength with the Same Tool Hackers Use Is your password secure? Tools that assess your password strength have poor accuracy, meaning that the only way to really test your passwords is to try to break them. Let's look at how. Read More , this guide will give you the access you need without too much stress. Since Windows 8.1, user accounts How Microsoft Overhauled User Accounts In Windows 8 How Microsoft Overhauled User Accounts In Windows 8 What's up with user accounts in Windows 8? It's not complicated - Microsoft wants everyone to use an online account to sign into their desktop operating system. Sure, they offer an offline equivalent, but they... Read More have been folded into the wider Microsoft ecosystem 5 Security Tips to Consider When Using a Microsoft Account 5 Security Tips to Consider When Using a Microsoft Account You can't use much of the new Windows 8 user interface without a Microsoft account. The account you for logging into into your computer is now an online account. This raises security concerns. Read More . To log into Windows, most people are now using a Microsoft account. While some users were quick to criticize this move as it happened, it’s difficult to argue against it having a positive impact on how easy it is to retrieve your password How To Recover A Hacked Microsoft Account & Prevent Future Hacks How To Recover A Hacked Microsoft Account & Prevent Future Hacks Microsoft accounts are used for OneDrive file storage, Outlook.com emails, Skype conversations, and even signing into Windows 8. You'll want to get that Microsoft account back if it's ever hacked. Here is how. Read More . Visit the Windows Live password recovery tool on the Microsoft website, and you’ll have access to your system in no time. 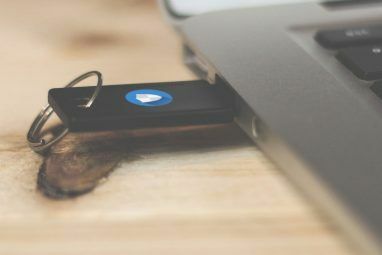 This is by far the easiest method of resetting your credentials — but it does rely on your system being up to date, and having access to an Internet connection. This method requires a bit of work on your part, but in a pinch, it might be the only option at your disposal. To get started, ready a copy of the Windows installation disk, and prepare yourself to tangle with some command line input 5 Slimline and Command Line Twitter Clients for Ubuntu 5 Slimline and Command Line Twitter Clients for Ubuntu For a while, the Linux community has been desperately crying out for a good Twitter client. We decided to survey the current Linux Twitter client landscape, looking for lightweight, usable apps, with some interesting results. Read More . Boot from the installation disk and select Repair your computer when the option appears on the screen, continuing through the process until you reach the option to use a Command Prompt. Key in copy c:\windows\system32\sethc.exe c:\ to back up Sticky Keys, and then use “copy c:\windows\system32\cmd.exe c:\windows\system32\sethc.exe” (without quotes) to overwrite it with the command prompt file. At this point, restart your computer. Once you’re back at the password screen, hit the shift button five times in a row — typically, this would open the Sticky Keys dialog, but instead it opens up a fresh command prompt window. From there, simply type in your username and your desired password. For more detailed instructions, check out the full guide to this method on How To Geek. As with many aspects of computing, the best solution for a problem is often taking the steps to remedy it long before the issue arises. With a bit of forward planning, you can make sure that you’re never caught out by a lost password. First, you’ll need a flash drive that can be used solely as a password recovery tool. Plug it into your computer and search for “password reset disk” — if you’re using a version of Windows without search capabilities, you’ll have to navigate to this option in Control Panel via User Accounts. Your system will then run you through a brief wizard, where you’ll input your current password and authorize the drive to function as a “key” should you forget that password. Of course, if you change your password How to Change Your Password on Any Desktop or Mobile Device How to Change Your Password on Any Desktop or Mobile Device Your password is the only thing standing between a stranger and your most private data. When was the last time you updated your device password? We show you how to change it right now. Read More then the drive will no longer work, and you’ll have to repeat the process. It should go without saying that the password reset disk should be looked after quite carefully. Obviously, it’s no use to you if it gets lost — but if it falls into the wrong hands, it can be a serious security concern. Most users generally steer clear of using third party software to help with operating system maladies or when passwords are involved. However, if you’re using a very old version of Windows or you’re working with a system that doesn’t have an Internet connection, you might have no other option. As of the time of writing, ntpasswd has a good reputation for solving administrator password problems without any unintended side-effects. It’s a straightforward tool that does its job with a minimum of fuss. 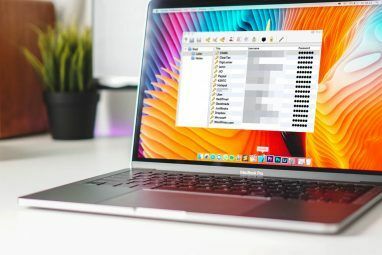 To get started, download the tool here and copy it across to a flash drive, CD, or floppy disk, depending on what sort of storage your system will accept. If you’re using a CD, you’ll have to burn the ISO onto the disk using one of the many applications freely available on the web CDBurnerXP - A Great Burning Tool For CDs DVDs, Blu-Rays & ISOs [Windows] CDBurnerXP - A Great Burning Tool For CDs DVDs, Blu-Rays & ISOs [Windows] Optical discs are not forever, but although they are losing significance, DVDs and Blu-Ray discs are still a great medium for long term backups, given you store them right and don't use them as your... Read More . Power up the PC in question, booting from whatever method you’ve chosen to use. Load the drivers if your computer doesn’t do so automatically, then select the disk that Windows is installed on. You may then be asked to navigate to the installation itself on that drive. Select Password Edit and you’ll be able to choose a new password — try to remember it this time? 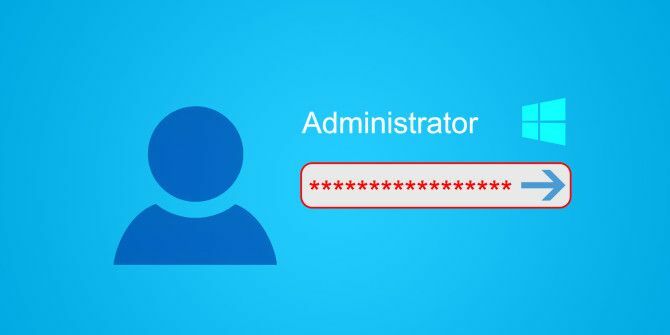 Do you have another easy solution to administrator password woes? Share it with other users in the comments section below. Explore more about: Password, User Account Control. An issue I cannot believe is not far more common and crisis-inducing. How about this, for a real-world situation - You make backups frequently, as recommended, and you also change passwords often, again as recommended; then, perhaps from a virus or hack or HDD failure, you need to restore from a backup that is older than the last password change - suddenly, you also need to store separately, a coordinated and chronological list of all passwords linked to each generation of backup! In order to be safe and able to access a computer after a crisis, it turns out that your security is weaker than if you never changed your original password. I'm surprised the author didn't mention syskey ("Windows Startup") passwords. These passwords appear before the Login screen and are meant to entirely prevent access to a PC. Rule #1: Don't do this unless you REALLY mean it. This will allow a user to set a password prompt that doesn't look like any normal Windows password prompt. This password does not require a username, only the password. Remember please don't do this. 1. Either remove and put the impacted disk drive in another PC or boot from some kind of recovery environment that allows full file access. This can be particularly tricky with contemporary versions of Windows since Linux and Windows XP-based boot environments don't understand the GPT disk partitions that are commonly used on name-brand PCs. 1a. If you're accessing the drive from a boot disk without removing it from your source PC, you'll probably also need to go screwing around in your PC's firmware to allow legacy, insecure boot options. You may have to put the settings back the way they were before your repaired Windows installation will start again. 2. In your recovery session, navigate to C:\Windows\System32\Config. This is where your computer's Registry lives. You'll probably get a message that you don't have permission to access this folder, but also a prompt to allow access. As a notational note, I'm going to use X: as the drive letter that represents the impacted drive. Replace that drive letter with the drive that has been impacted with the Syskey password. This is almost certainly NOT going to be your C: drive, as C: in most Windows installations will be used for the copy of Windows that actually started the computer. Make sure there is a folder called X:\Windows\System32\Config\Regback. Make sure there are files called DEFAULT, SAM, SECURITY, SOFTWARE and SYSTEM in that folder. Highlight all the files (the things that aren't subfolders) in that directory. Right-click on the highlighted files. Choose Copy. Right click on the whitespace in that folder. In the context menu, choose New, then Folder. Name the folder something like "Old" or "Backup." Highlight all the files in that folder. Right-click on the highlight files. Choose Copy. White Click in the whitespace of that folder. Choose Paste. Allow the files to be overwritten. Now put the drive back in its original PC and/or restore the boot settings that allowed you to start up off your recovery environment and fire the PC back up. The syskey password should be removed. I should also point out that doing this will do bad things if you were actually using Windows file encryption (EFS), but if you have a version of Windows that allows EFS access and you were actually doing something that warranted use of EFS in the first place, you probably also have an IT person to pester about fixing this for you in the first place. It also won't work if you're using Bitlocker or some other drive-level encryption unless you had the foresight to actually back up your recovery key. Highlight all the files (the things that aren’t subfolders) in that directory. I've always used the password reset tool in Hiren's Boot CD to reset the password. This CD has a number of other useful tools for recovering a non-bootable Windows and is worth burning to a CD or flash drive. This is the first time I've heard of using the command prompt in this way to reset the password. "2. Use a Windows Installation Disk" is best choice. A friend ran into the problem of a forgotten password on her old computer. I used Kon-Boot (included on the FalconFour Ultimate Rescue CD) to bypass the old password and set a new one. Very quick and easy. Sorry, that should be "FalconFour's Ultimate Boot CD"
Here's an easier way to do the 2nd method, using a GUI environment, and another method using Lazesoft "Recover My Password"